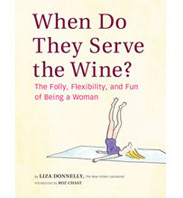 Twitter Love | When Do They Serve The Wine? 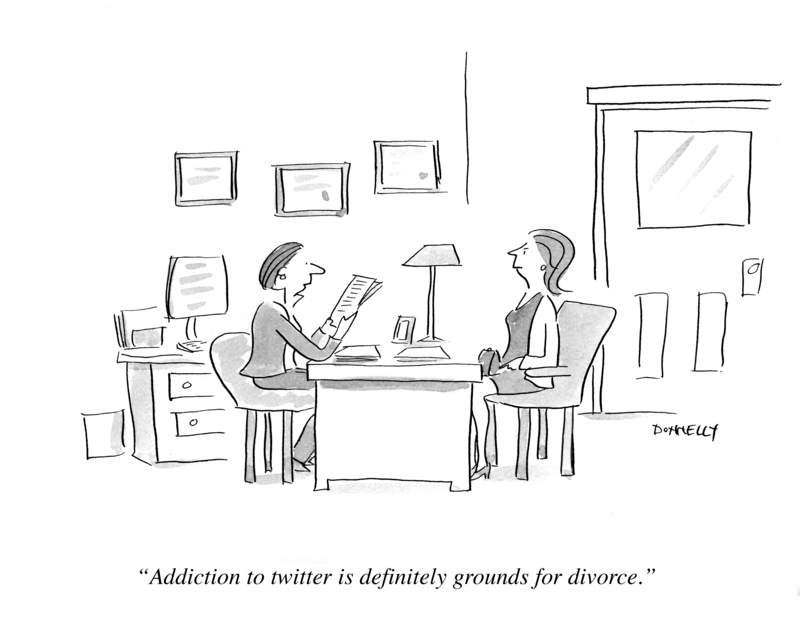 Yes, I’m addicted to twitter. I have “met” some interesting people there: journalists, writers, performers, bloggers, chefs, parents, artists, bon vivants. As a news junkie, I get my news first on twitter because I follow various news sources. When I work on my cartoons or my writing, it’s as if I have a bunch of friends to talk to when I want to procrastinate. What’s really great, is so many of the people I follow are very funny, and we have a lot of laughs. Word play, jokes, and puns fly around my twitter feed. Photos of pets, the snow in Central Park, videos of turkeys attacking vehicles. Twitter is also my muse, having pulled several cartoons out of it. What’s not to love? My husband is not on twitter. But so far, there have been no fist fights, and no papers have been drawn up. In fact, I love him more than I love twitter. Sorry, twitter, but it’s true. This entry was posted in Random but Relevant and tagged humor, marriage, twitter. Bookmark the permalink.